Flash drive data recovery software recovers deleted valuable files and folders from commonly used data transfer Pen drive storage media. Thumb drive data undelete utility restore picture, songs, and document files lost due to accidental deletion, disk formats, virus infected Pen drive, software malfunctioning and other data failure reasons. Data recovery software for Pen drive rescue data from Pen drive popularly known as Thumb drive, Keychain drive, Jump drive, Handy drive etc. 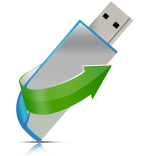 USB flash drive file revival application support all major txt, music, picture file formats including doc, pdf, html, aac, wma, mov, asf, midi, jpeg, gif, bmp, png and other similar file formats. 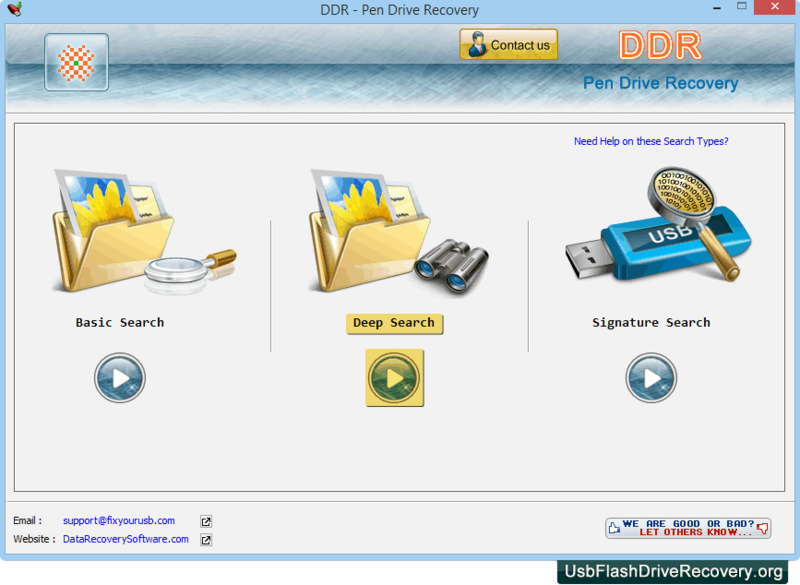 Pen drive recovery tool provides facility to scan entire digital Pen drive by using Standard or Advance search recovery techniques. ► Recover corrupted files damaged due to Human error, Virus corrupted files, Accidently formatted pen drives etc. ► Software restore audio, video and other various music files which you have lost due to corrupted pen drive. ► Software provides option to save your recovered files at specified location. ► Recover data in all major file formats including avi, mp4, mpeg, m4v, asf, wav, aac, wma, jpg, gif, bmp, png etc. ► Recovers lost data whenever "Drive not formatted" error message displays on your computer. Select any one recovery mode among Basic Search, Deep Search, and Signature Search.